I love being out on farms. Ever since I was a kid I enjoyed visiting friends who lived in the countryside and had livestock on their property. The small town where I grew up was surrounded by farmland, mainly citrus groves, but we lived in the town so having livestock was pretty much out of the question. I did, however, manage to raise rabbits and chickens in our backyard thanks to some very tolerant neighbors who never complained about the smell or the occasional rooster crowing. My neighbors even bought the eggs laid by my Rhode Island Red hens. While in high school our school had a farm and kids were encouraged to join the FFA (Future Farmers of America) and do animal husbandry projects. So while in high school I raised several lambs and one pig. The lambs I took and showed at the county fair where they were judged and sold at an auction. We ate the pig. 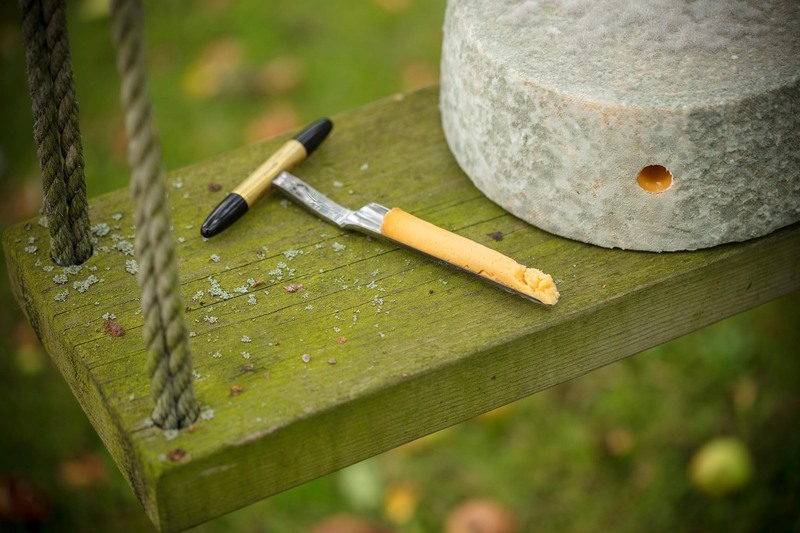 Dairy farming and cheese making is something I never experienced so when the opportunity was presented for me to go to England and visit dairies and artisan cheese makers I didn’t hesitate to get on board. 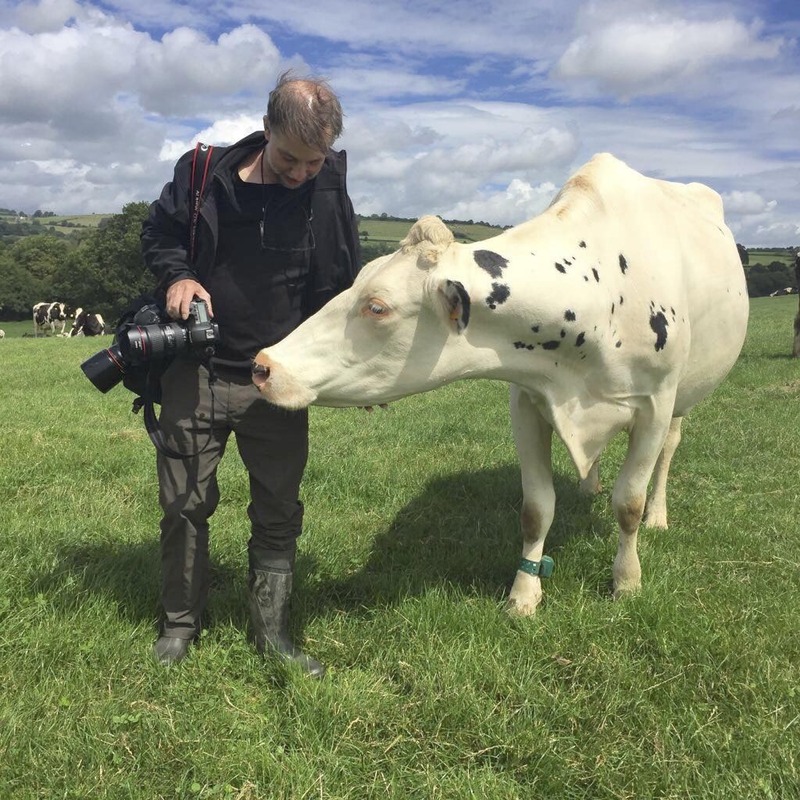 I was traveling with food writer Mamie Chen and our mission was to visit several dairies, cheese makers and a cheese judging show and produce a story for Tasting Kitchen (TK) magazine. 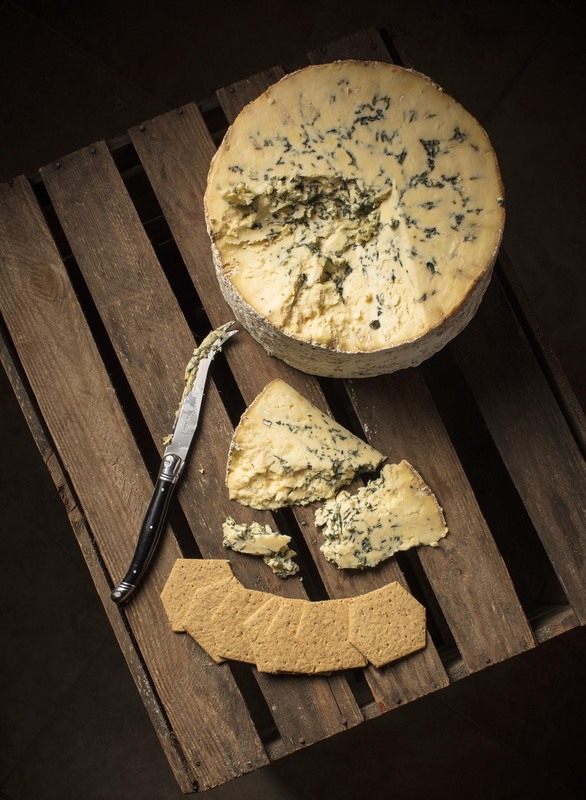 Mamie managed to cook down all the information she garnered about cows, cheese, bacteria, curds and whey and organize all into an interesting and informative article called Reinventing the Wheel which you can read by following the link at the end of this post. I learned on this trip that dairy cows are very shy. They don’t like to be approached by unfamiliar humans, especially those pointing strange machines at them. However, as shy as they appear to be they are also quite curious. So rather than chase them all over the pasture I sat down and waited for them to come to me. Within minutes I was surrounded by these lovely young women. They began sniffing and licking me and my camera bag and one even seemed to take an interest in what I was photographing. 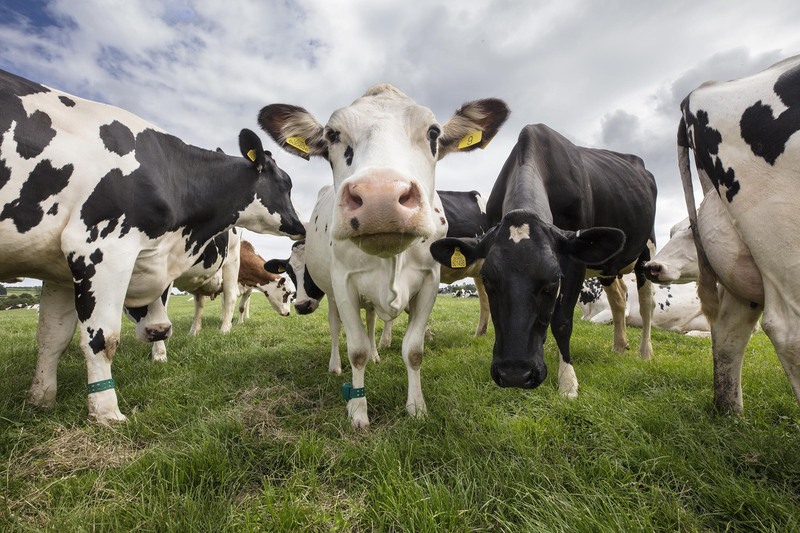 The milk from these lovely creatures is taken to the nearby processing center where it is turned into cheddar cheese. 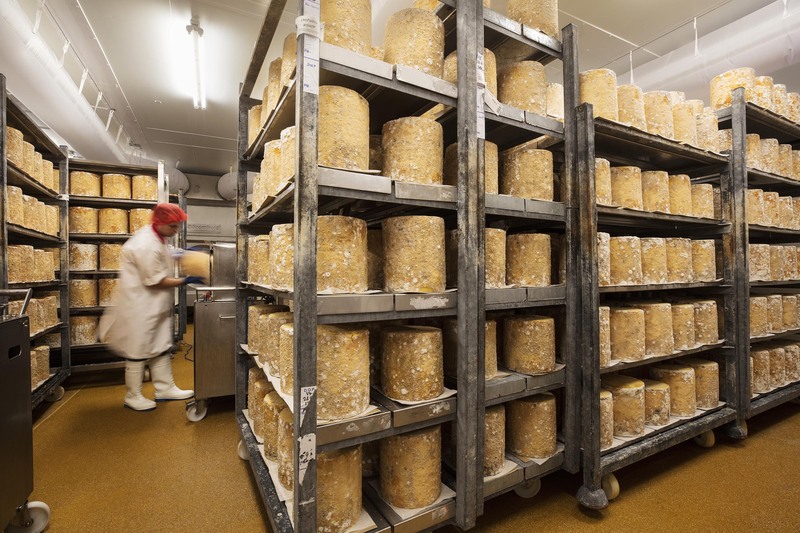 Like any artisan product the cheese makers are always tinkering with their process. The cheeses they do well and are successful they keep doing but there is this drive that always makes them want to try something different. 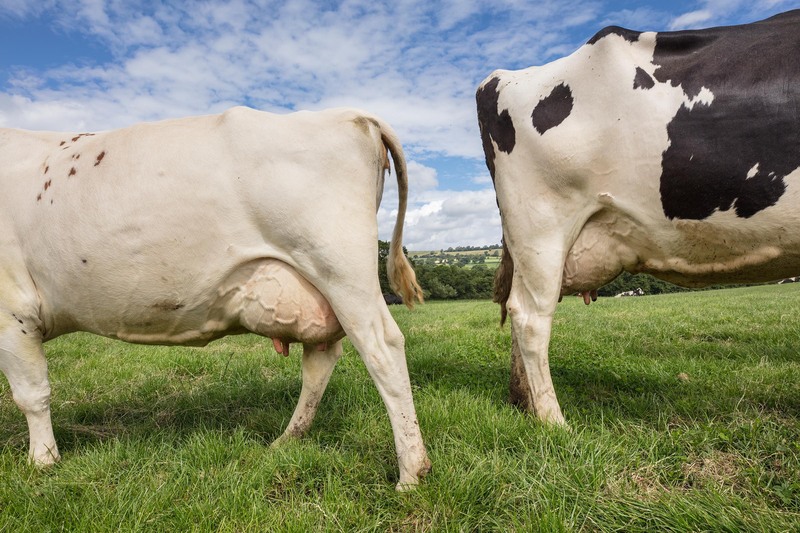 It was fun listening in on some of the interview and hear how once the cheese maker had the idea of rubbing hay on a cows udder to see how that might affect the bacteria in the milk. When he incubated the milk from that cow it literally exploited with gassy bacteria. I’m guessing he didn’t rub any more udders with hay. 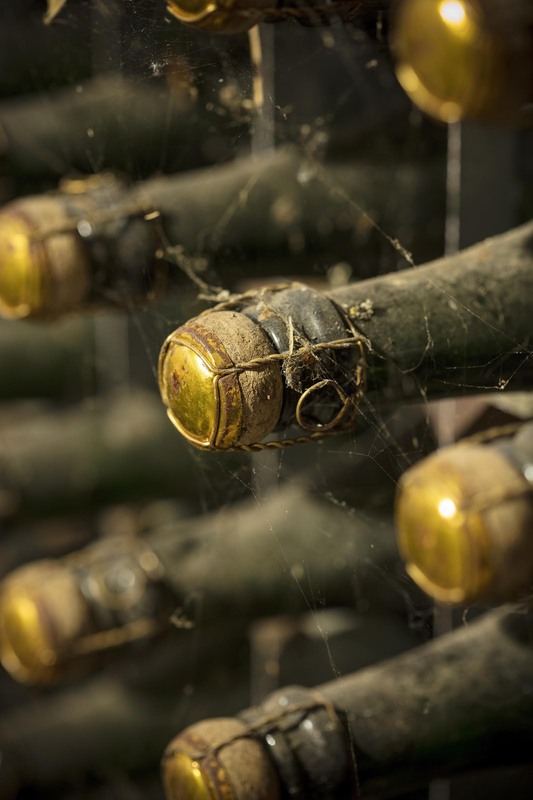 But I love this sort of process of working to create better or different tasting product through scientific experimentation. Especially when no creature is harmed and you are just using earth’s natural ingredients to help you along. Beginning a batch of cheddar. 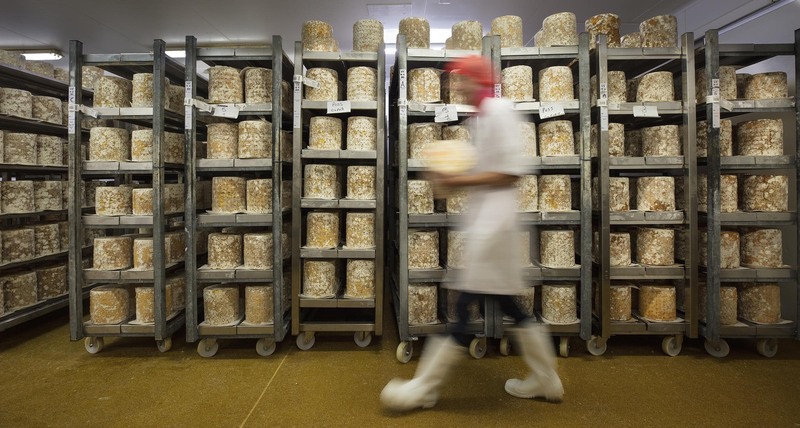 A Westcombe cheesemaker checks on an aging cheddar. 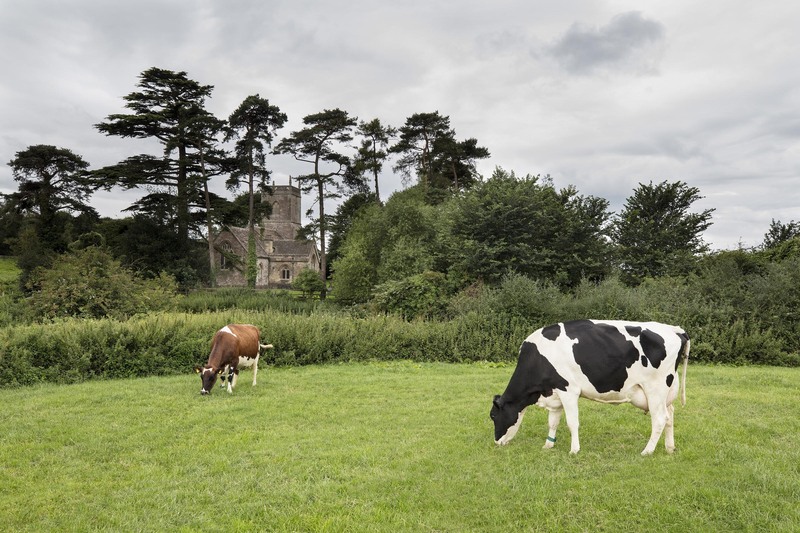 Next dairy on our journey was Charles Martell & Son located in the village of Dymock in Gloucestershire. 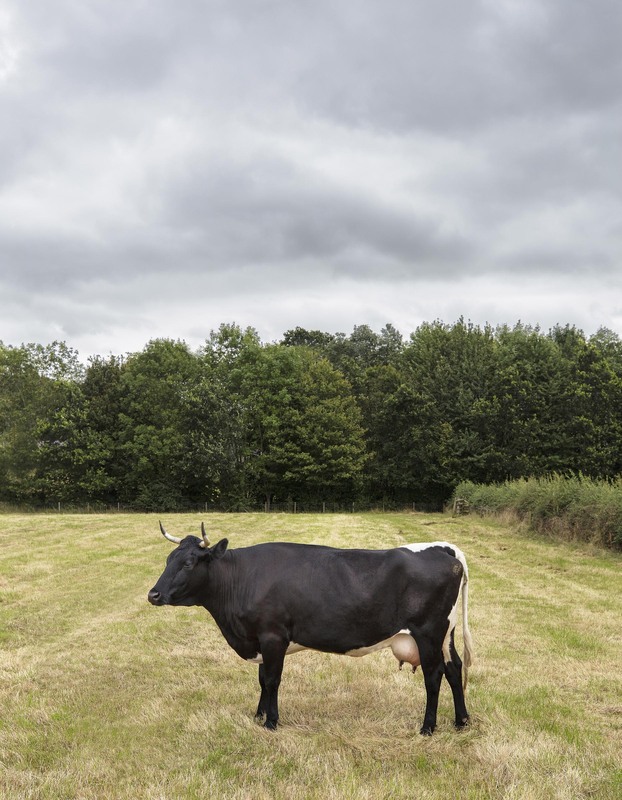 It’s on this farm that Charles Martell makes his Single Gloucester cheese with the milk form his herd of Gloucester cows. 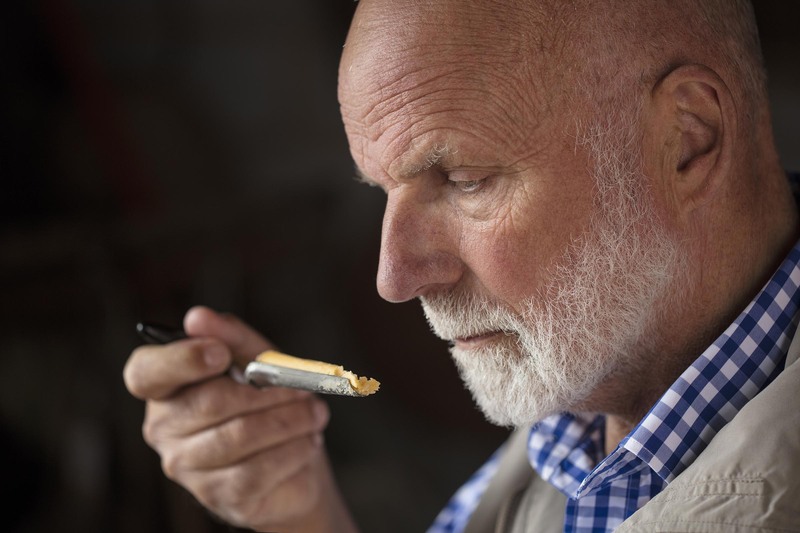 Charles Martell checks on a recent production. 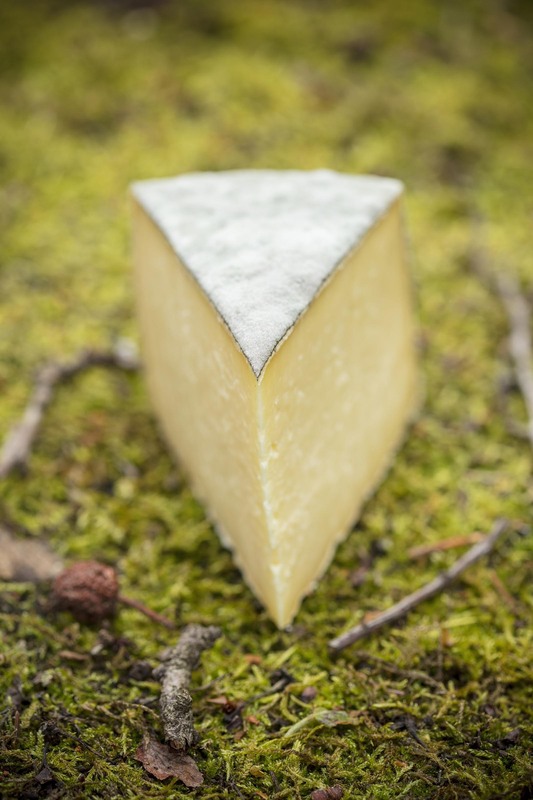 Stinking Bishop is another cheese Martell makes which was made famous when it was featured in the movie Wallace & Gromit: The Curse of the Were-Rabbit. 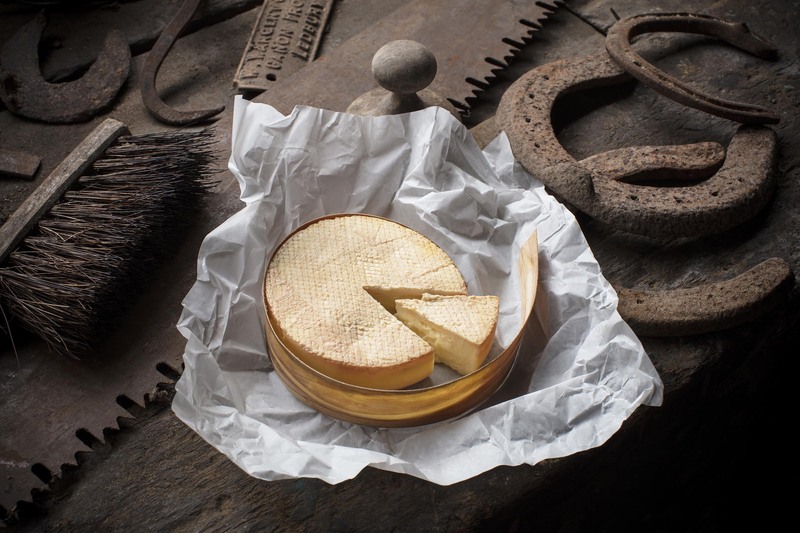 One of the interesting things he does with this cheese process is to wash the rinds with a type of pear cider which he ferments from pears grown on his property. 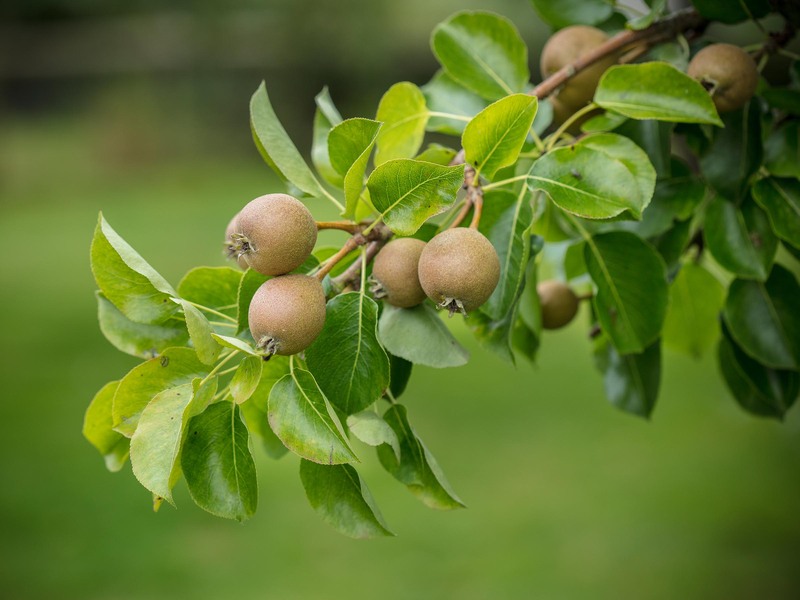 Pear cider fermented from pears on Martell’s property. Stinking Bishop by Charles Martell & Son. Our third and final stop on our pilgrimage to find delicious artisan cheese was Cropwell Bishop Creamery located in Nottingham. And before you ask, no, I did not run into Robin Hood. At Cropwell Bishop they are famous for making a Blue Stilton. 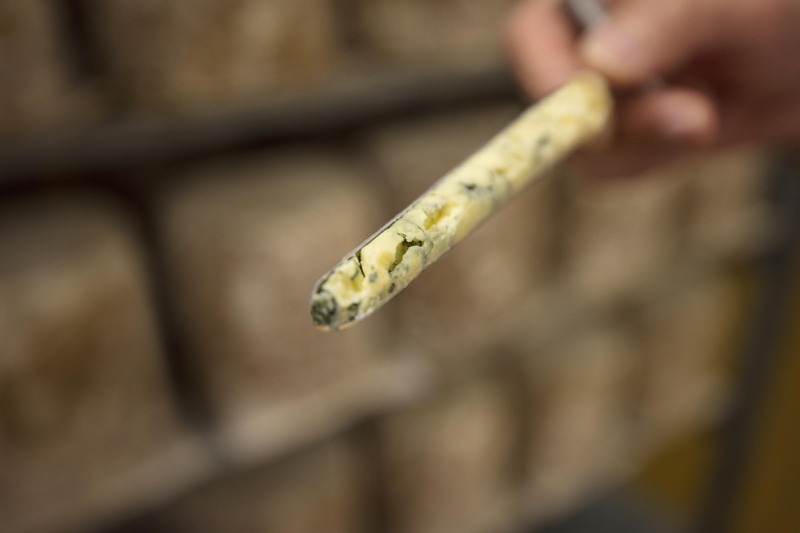 Blue Stilton created at the Cropwell Bishop Creamery. To enter the processing facility we had to gown-up with white coats, hairnets and rubber boots. They basically didn’t want us, or any of their workers, to introduce any unwanted bacteria which could make its way into their product. 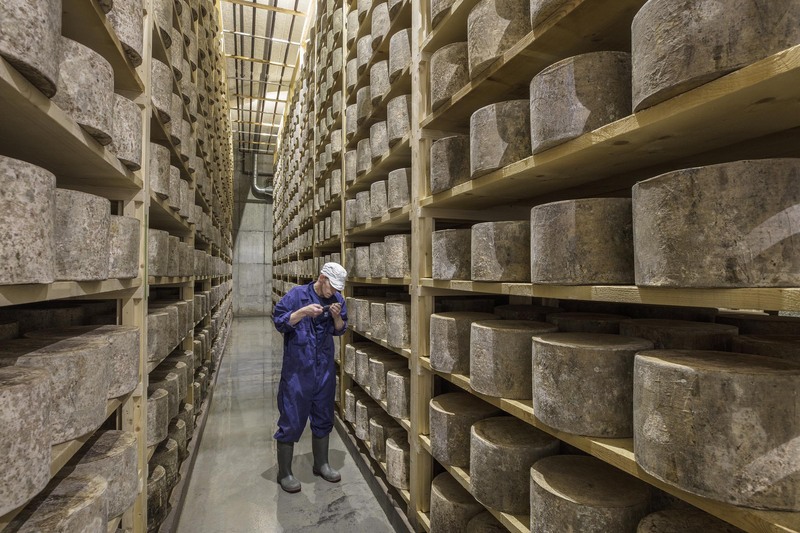 Despite these modern approaches the cheese makers continue to use techniques which have been used for centuries. 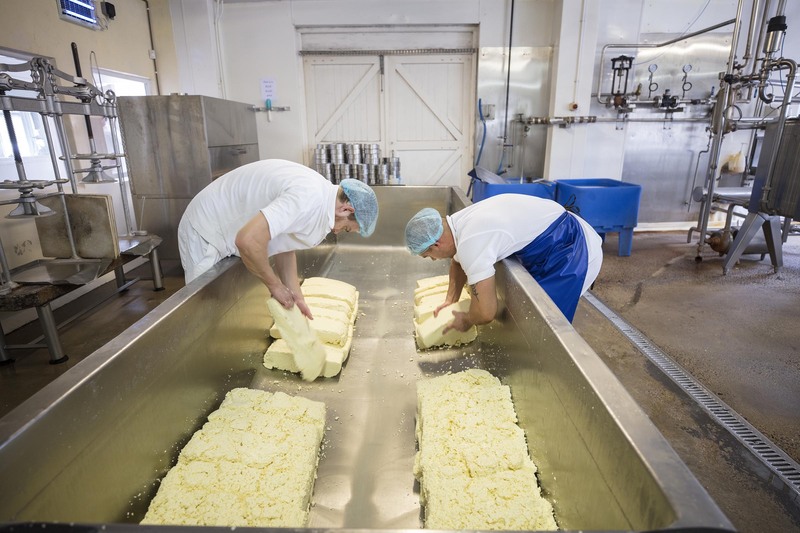 Things like hand-ladling curds and rubbing-up the cheese to seal them for maturation. Sealing the cheese for maturation. 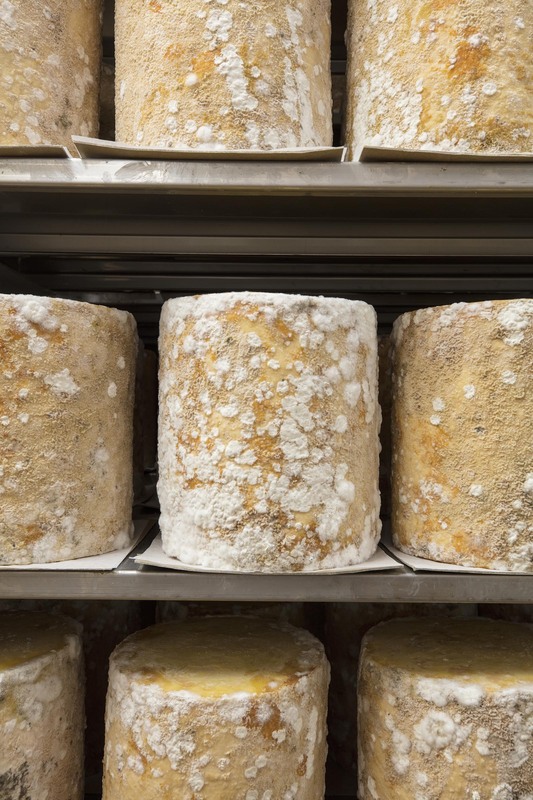 After five weeks each roundel goes through the needling machine in which they are pierced by hundreds of stainless steel needles which will provide an opportunity for the blue mold within to thrive thus creating those wonderful blue streaks and flakes throughout the cheese. 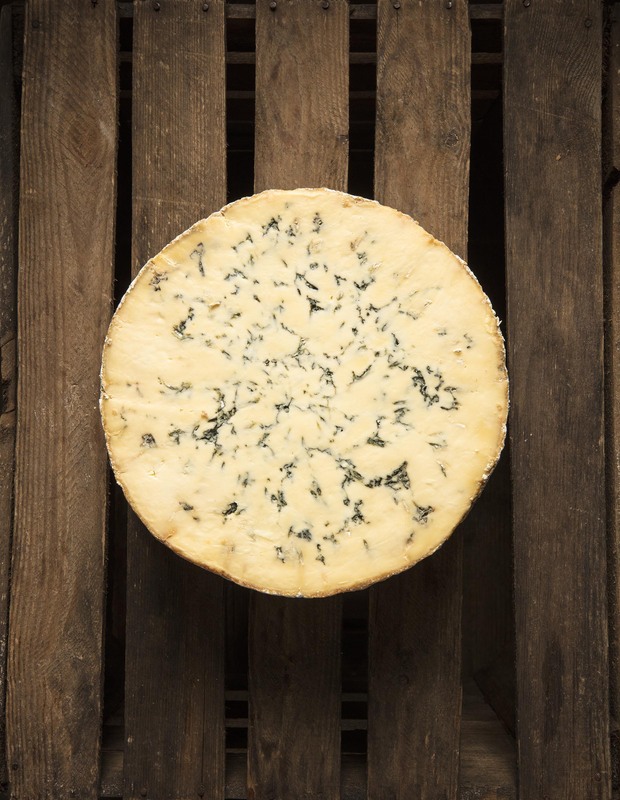 Blue Stilton as it matures on the shelf. 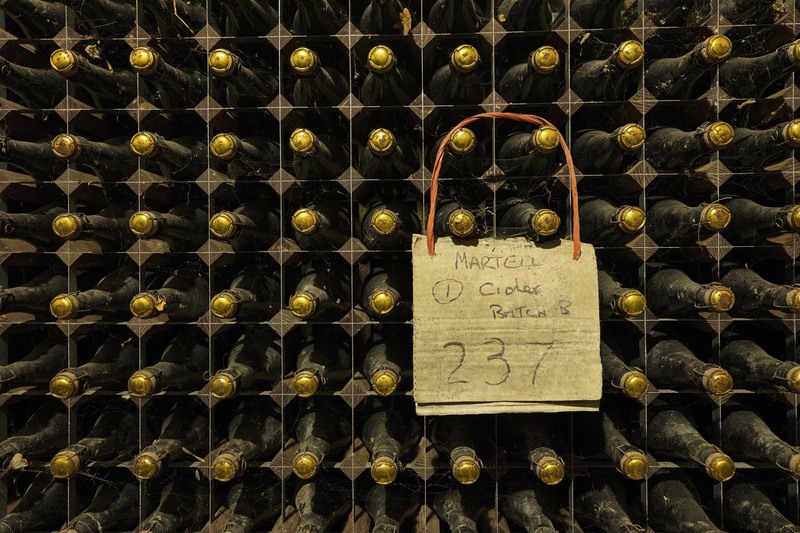 Core samples are regularly taken from aging cheeses to see how well they are maturing. We ate a lot of this one.